Backstory: I decided to crowdsource static site generator recommendations, so the following are actual real world suggested-to-me results. I then took those and sorted them by language/server and, just for a decent relative metric, their Github Watcher count. If you want a heap of other projects (including other languages like Haskell and Python) Nanoc has the mother of all site generator lists. If you recommend another one, by all means add a comment. Quill is a simple blog engine inspired by Jekyll. Quill runs on node and has an easy command line interface. 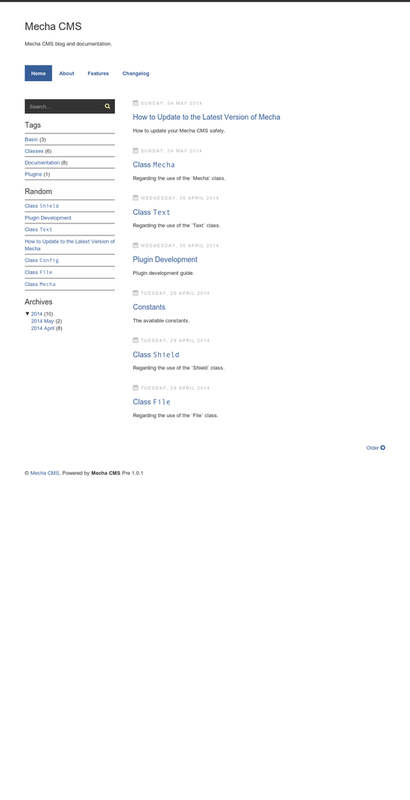 Themeing is as simple as editing a single html page. Great listing. Hope this continues to be maintained. Alternatives are always fantastic. How do we add our own? You can add Sculpin to the list. In Python-land Pelican is a big one! I'll add Kerouac (Node.js) to the list of contenders. Please add Assemble, it's a static site generator built as a plugin for Grunt.js. Can Movable Type qualify? It's based on Perl and I believe it's got 206 watchers. What are my options for static site generation? Either the gist should be marked as out of date, or it should be updated to include the forks. For what it's worth, the nanoc listing has become fairly outdated, despite the project which it uses for it's listing from still being maintained. As such, I've setup http://staticsitegenerators.net to pull in the latest data and combine it with the github data among other things. It is now the most definitive listing you can find. Hey, I have merged all the forks started from this gist at https://gist.github.com/nodiscc/6138507. Thessc is missing. I'm currently writing it. Language: C.
nodeache (Node.js) could actually be added. It works with static files aswell. I wrote one, named StaGen, supporting Markdown, StringTemplate 4 and JSON. Developed in Java 8. Try Mecha CMS, it’s pure PHP. It uses Markdown It for web pages, EJS and Postcss for site layout, and Browsersync as a development server with "live editing" and testing your site on all connected devices. Also it can scaffold the basic site layout for you (based on Material Design Lite). You may want to take a peek at https://staticsitegenerators.net/ as well. Hey all I wrote a static site generator and I am looking for some constructive criticism or and feature suggestions. If anyone is interested in reviewing the project I would really appreciate it. The project is called Muleify and it is hosted on Github and available on NPM. It is open source with MPL-2.0 incense. I think it is rather unique since it requires almost zero configuration.